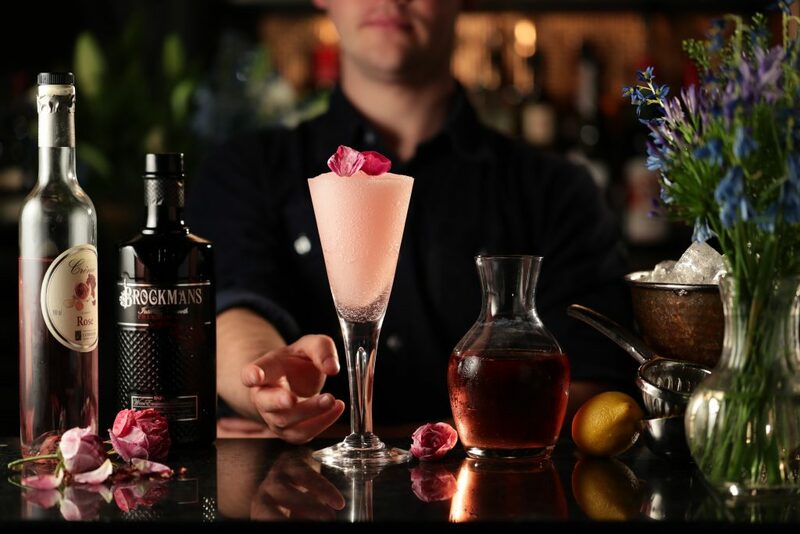 Combine Brockmans, juices, cinnamon syrup, and cherry liqueur in a shaker filled with ice, shake, and strain into a coupe glass. Garnish with lime half turned inside out. Float on top of the cocktail. Fill with a cube of sugar then add some Absinthe, Ignite & sprinkle a pinch of cinnamon powder over the flame. 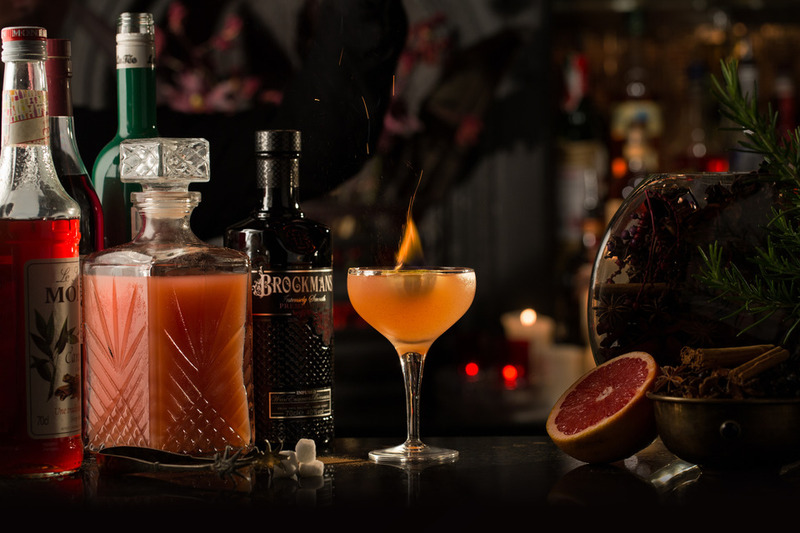 Combine Brockmans, juices, cinnamon syrup, and cherry liqueur in a shaker filled with ice.